The perks of offshore banking and investing are countless. One of the biggest advantages is that placing assets in an offshore account or trust can help diversify your portfolio and leave your financial plan less vulnerable. However, there are so many different countries and banks to choose from that it can be a challenge to know which one is the right fit. Uncover why Belize banking is a smart move for those who want security, stability and privacy. One of the biggest concerns for international investors is the stability of the local banking system. Believe it or not, Belize is actually more stable than many Western countries in terms of banking and finance. Banks in Belize typically hold as much as one third of their assets liquid, which is far more than in the United States. This gives you peace of mind and can actually prevent the collapse of banks. Even the best investment can end up being a wash if you pay back a capital gains tax on your profits. In Belize, however, there is absolutely no capital gains taxation for foreign investors. This means that all of your profits can be saved or reinvested, and your wealth can grow rather than stagnate over time. Many of the people who decide to invest in Belize do so because of the convenience. 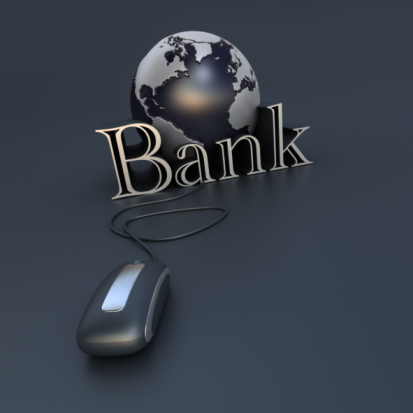 Thanks to online banking, you can easily perform transactions from the comfort of your computer, but there are still some times when you will want or need to physically be at the bank itself. In these cases, a trip to Belize takes just a couple of hours from many places in the United States. Belize may be best known for beautiful beaches and perfect weather, but it also offers investors a great way to legally avoid capital gains taxes and enjoy greater banking stability without government intervention. Click here to learn more about your options for Belize banking. This entry was posted on Tuesday, August 20th, 2013 at 2:44 pm	and is filed under Offshore Bank. You can follow any responses to this entry through the RSS 2.0 feed. Both comments and pings are currently closed. Caye International Bank Limited (CIBL) was granted an Unrestricted "A" Class International Banking License on September 29th, 2003 by the Central Bank of Belize and is regulated by the Central Bank of Belize which set the standards for liquidity and capital adequacy.